275 Butler Road, 04/11, 1:21 a.m. On this date, Deputy Potter and several other units were in the roadway with their emergency lights activated investigating a suspicious person incident. They observed a vehicle approach them at a high rate of speed, almost striking the cruisers before coming to a stop. Deputy Potter then made contact with the driver who was identified as Nicholas Schalestock, 25, of Jeffersonton, VA. Field sobriety tests were subsequently conducted and the suspect was taken into custody. He was incarcerated at Rappahannock Regional Jail for driving under the influence and failure to approach an emergency vehicle with caution. Quarles Road, 04/10, 6:18 p.m. On this date, Sergeant Zotos responded to a reported hit and run. Upon arrival, he learned that the victim had been rear ended by a red mustang while stopped at a traffic light near the Exxon located on Route 17. The sergeant then drove to the address of the registered owner of the red mustang. He observed a male subject, later identified as Colby Compton, 31, of Fredericksburg standing next to the mustang in the driveway. The subject appeared to be extremely intoxicated and was unsteady on his feet and had slurred speech. He admitted to being involved in the hit and run and not stopping because he was intoxicated and had no driver’s license. Field sobriety tests were conducted and a breath test was administered. He was taken into custody and incarcerated at Rappahannock Regional Jail on charges of driving under the influence, no driver’s license, and hit and run. 95 Riverside Parkway, 03/23. Victim reported damage to the front bumper of his vehicle. The incident remains under investigation. This report does not encompass all of the reported crimes that may have occurred in the county, but only those noted for media interest. 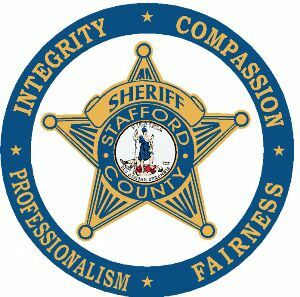 Anyone with information regarding the incidents listed in this report is asked to contact the Stafford County Sheriff’s Office at (540) 658-4400.